NINE MEMBERS OF the Liberian Senate sent a clear and bold message Thursday by expressing their desire to disassociate themselves from the ongoing impeachment trial of Associate Justice Kabineh M. Ja’neh. The Senate is expected to, through a ‘yes’ or ‘no’ vote, either concur with the House of Representatives on the impeachment of the embattled Supreme Court Justice or deny the impeachment. ON THURSDAY, the nine Senators – Dr. Henrique Tokpah (Ind. Bong County), Oscar Cooper (Ind. Margibi County), Armah Jallah (NPP, Gbarpolu), Conmany Wesseh (UP, River Gee), Daniel Naathan (ANC, Gbarpolu), Steve Zargo (LP, Lofa) and Sando Johnson (NPP, Bomi) and Nyounblee Karnga-Lawrence (LP, Grand Bassa) and Gbleh-Bo Brown(Independent, Maryland) all posed a united front in their quest to deny the impeachment. THE NINE SENATORS stated in their position statement stated that it is now public knowledge that the Senate position in the matter is constitutionally faulty, flawed, ill-advised and a result of confidence betrayal and one that is appear to be designed to serve a selfish interest. THE SENATORS ARE ALSO demanding that Senator Varney Sherman who chairs the Senate Judiciary Committee to do the “most honorable thing” by resigning from the chairmanship of the committee to save the senate further and future embarrassment. TWENTY OF THEIR PEERS appear to be siding with the impeachment. Among them: Sen. Albert Chief- Grand Kru, Sen. Peter Coleman- Grand Kru, Sen. Francis Paye – River Cess, Sen. Dallas Gueh – River cess, Sen. Prince Johnson – Nimba, Sen. Thomas Grupee -Nimba, Sen. Alphonso Gaye – G. Gedeh, Sen. Marshall Dennis- G. Gedeh, Sen. Jim Tornolah – Margibi, Sen . Matthew Jaye – River Gee, Sen. Henry Yallah – Bong, Sen. H. Dan Morias – Mary Land, Sen. Morris Saytumah- Bomi, Sen. Saah Joseph- Montserrado, Sen. Varney Sherman – Cape mount, Edward Dagoseh – cape Mount, Sen. Milton Teahjay- Simone, Sen. George Tengbeh – Lofa, and Sen. Augustine Chea – Sinoe. THE EMBATTLED ASSOCIATE Justice is accused of theft of property, illegal acquisition of property constituting abuse of power and misconduct by granting a petition that stopped government from accessing its revenue through the Road Fund from petroleum dealers. JUSTICE J’ANEH and his team of lawyers have up to Friday 12: PM to maneuver among the twenty Senators and hopefully come up with the critical vote to safe his seat on the bench. 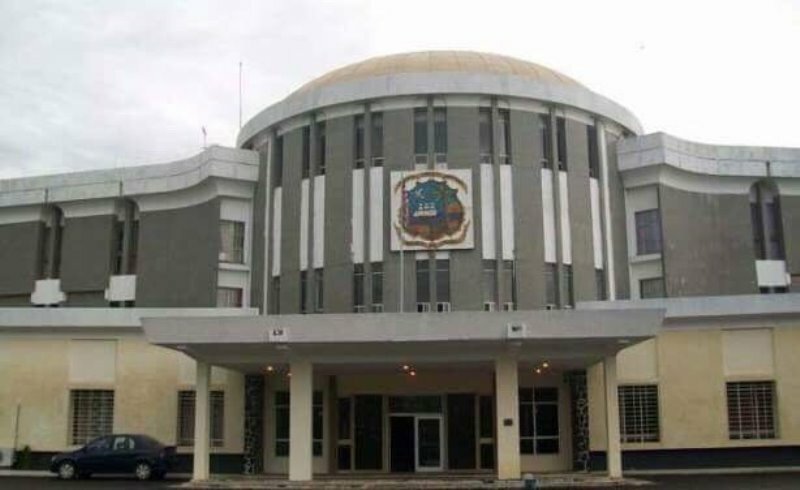 THIS WILL BE CRUCIAL with at least three Senators – Milton Teahjay of Sinoe County, Thomas Grupee of Nimba County, and Prince Johnson of Nimba – likely to break the tie. ALL THREE SENATORS have at one time or another expressed their opposition to the process. SENATOR JOHNSON PUT himself on record last week as being against the impeachment with a stinging indictment of the process. “The whole process is unconstitutional because we must give someone accused due process before impeachment. Kabineh was not given due process by the lower house when he was impeached,” Senator Johnson said in an interview with a community radio in the county at the weekend. DESPITE HIS expression against the process, it is unclear which way the warlord-turned Senator will turn. SENATORS GRUPEE AND TEAHJAY HAVE ALSO spoken out against the process. Grupee has argued during Senate plenary discussions that because there were no rules laid for the process and that rules drafted during the process could not be used to impeach Ja’neh. SENATOR TEAHJAY, HAS also been a critical voice against the procedure used to impeach Ja’neh, at one time expressing admiration for Ja’neh when he took the witness stand also stood in stand ovation for the under-fire supreme court Justice. LIBERIA HAS COME a long way and undergone massive resurgence emanating from a brutal and deadly civil war. 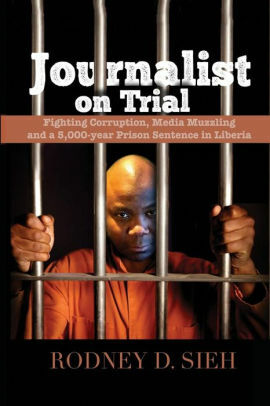 WE HOPE that those deciding the Associate Justice’s fate will dig deep into the conscience and do what is right to preserve Liberia’s fledgling and bourgeoning democracy. THIS IS A CRUCIAL test for Liberia, a deciding vote necessary to maintain Africa’s oldest republic on an irreversible course and into the history books that generations yet unborn will remember for billions of years to come.